Home » Featured » Are Punta Gorda, Florida and Hamilton, Ohio Twin Cities? 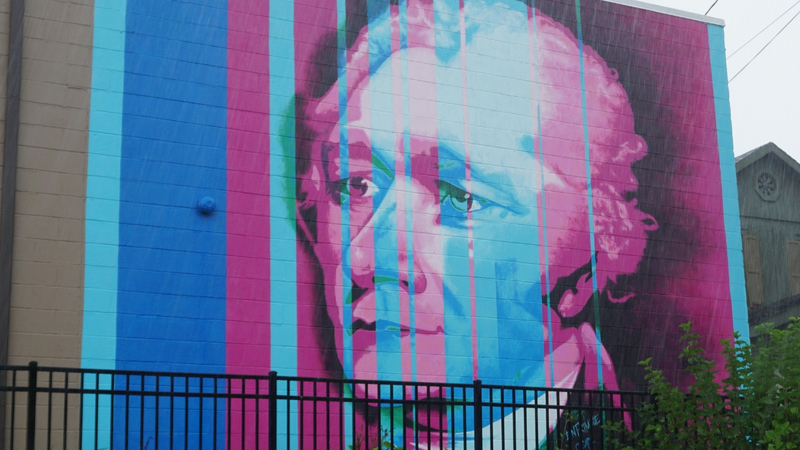 Mural of Alexander Hamilton, Namesake of Hamilton, Ohio; One of the Founding Fathers of the United States and the First Secretary of the Treasury. Are Punta Gorda, Florida, and Hamilton, Ohio, twin cities? In August, I escaped to the cooler climes, well, the less humid air, of my hometown in Western New York and along the way, I stopped off in Hamilton located in Butler County, Ohio. Not only did I find kind, friendly, and amazing people, I found a connection that had me asking, are Punta Gorda and Hamilton twins? And if so, could the two cities be tied together with an unofficial Friendship Cities relationship? The connection the two cities have in common is outdoor art. Downtown Hamilton has several large-scale and gorgeous murals adorning the sides of buildings. Like murals found in downtown Punta Gorda, Hamilton’s also tells the city’s modern history. This history dates to the late 1700s with a mural for its namesake, Alexander Hamilton, one of the Founding Fathers of the United States and the first Secretary of the Treasury. 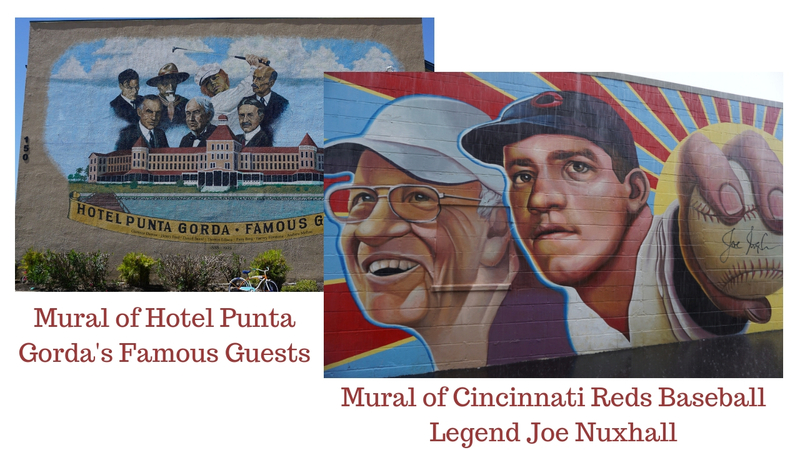 Other murals include one of Cincinnati Reds baseball legend Joe Nuxhall and another of Hamilton native Robert McCloskey who penned popular children’s books as Make Way for Ducklings and Home Price. Punta Gorda has the blossoming Peace River Botanical & Sculpture Gardens which debuted last fall and boasts more than a dozen whimsical sculptures within its 27 acres. 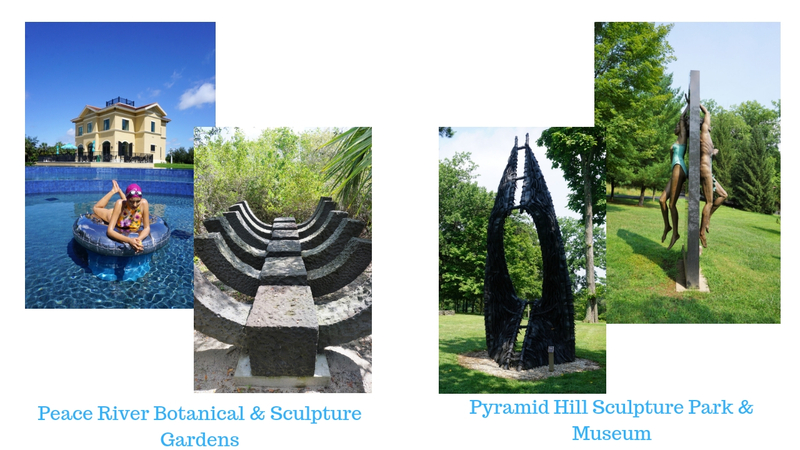 Hamilton has the Pyramid Hill Sculpture Park & Museum with more than 60 grand sculptures on more than 300 acres of lush, rolling hills and meadows. You can explore this gorgeous park either by foot, by car or rent an art cart, which is the best option because you can drive the carts up to the sculptures. Pyramid Hill Sculpture Park & Museum is quite stunning. Art varies from bold and abstract to subtle and sweet. Like the Peace River Botanical & Sculpture Gardens, many pieces at the Ohio park sit by small freshwater lakes. Unlike the gardens in Punta Gorda, the Ohio park is dog-friendly, as long as you remember to keep your pooch on a leash and pick up after him. A River Nurtures Life. And Inspires Beer. Rivers nurture life. Punta Gorda sits on the banks of the Peace River and the Great Miami River runs through Hamilton. 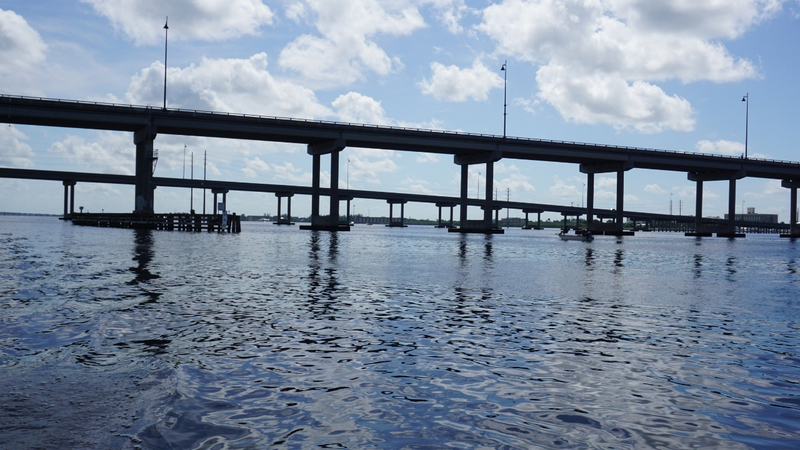 In Punta Gorda, the river inspires recreational activity and attracts people to its parks, pathways, and businesses located along the river. I observed the same in Hamilton with an inviting pathway running alongside the river and a thriving, revitalized downtown. Specifically, in Hamilton I saw how Municipal Brew Works is a magnet for a lively crowd looking to meetup with friends or family and sip craft beer steps away from the waterfront. The Art Deco building belongs to the city and is the former City of Hamilton municipal building. It once housed the fire department and a firing range in the basement. The brewery opened two years ago after a large-scale interior renovation to properly accommodate the brewing process. Once the brewery project was known, other projects were launched downtown which has helped revitalize it. Municipal Brew Works beer is served in the taproom and according to Jim Goodman, one of the owners, the reason the beer is so good is the water. In fact, Hamilton’s tap water won a gold medal for Best Municipal Water during the Berkeley Springs International Water Tasting in West Virginia in 2015. In other years, it has placed in the same category. 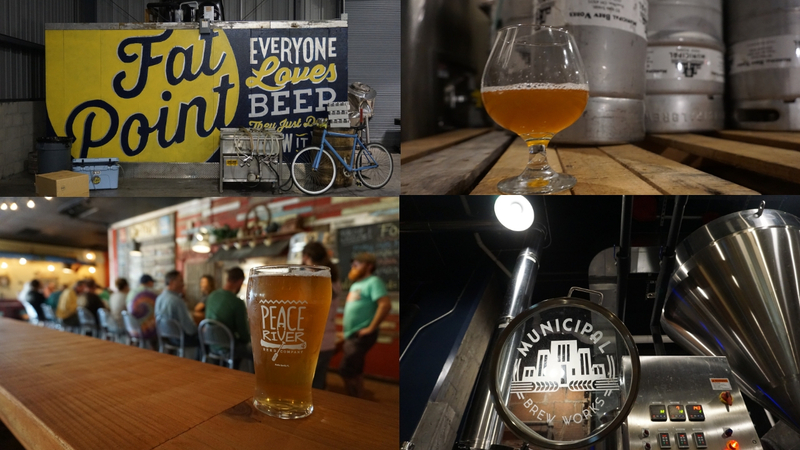 By the way, Punta Gorda enjoys craft brew, too, with Fat Point Brewing (Punta Gorda is Spanish for “Fat Point”) being the city’s and Charlotte County’s first brewery. Peace River Beer Company is the second craft brewery. Sidebar: I feel as though I need to clarify that neither Hamilton or Punta Gorda tap their respective rivers for beer-making! 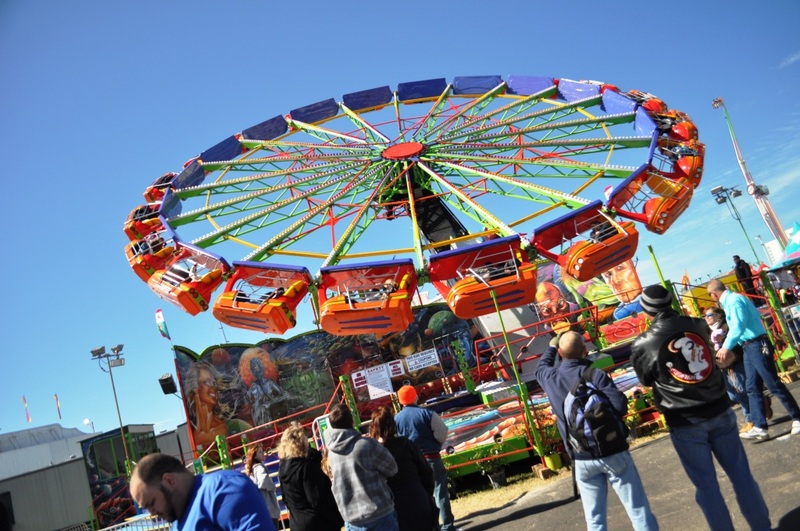 Punta Gorda, Fla., and Hamilton, Ohio, seem like the perfect match! Getting to Hamilton is easy. I drove and it’s about a 20-minute drive west of I-75. If you’re not up for driving to Butler County’s Hamilton, you’re in luck. Allegiant offers nonstop service from Punta Gorda Airport into Cincinnati which is about a 40-minute drive from Hamilton. Did I mention Butler County has the country’s first Donut Trail? Yum! Learn more at www.GetToTheBC.com. 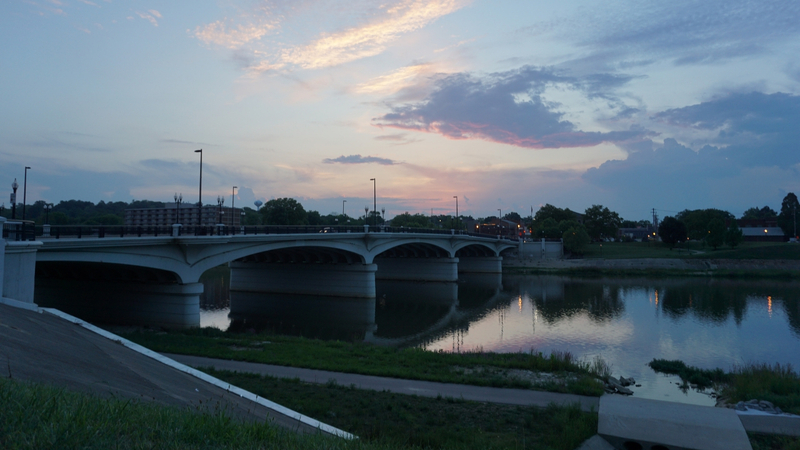 Great Miami River in Hamilton, Ohio. 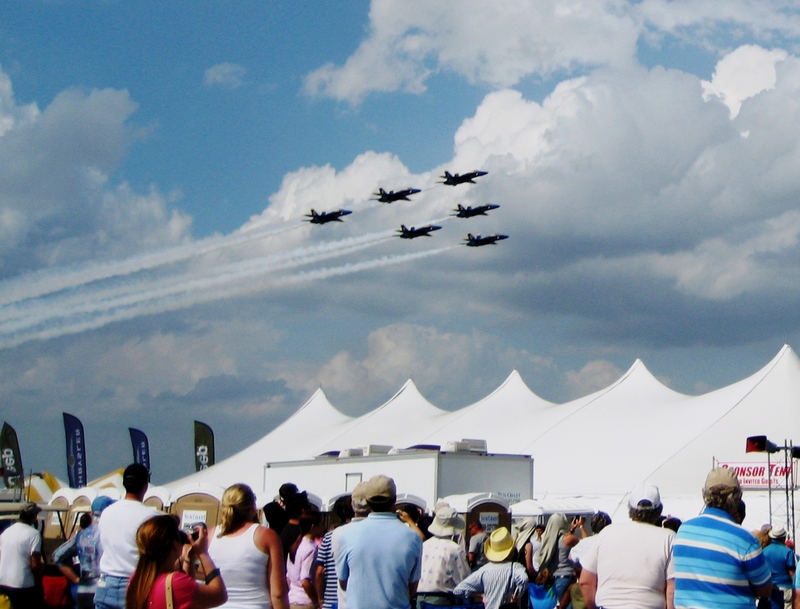 Learn more about Butler County, Ohio. in this link. Peace River in Punta Gorda, Fla. Nuts & Bolts About Punta Gorda, Fla. Learn more about Punta Gorda in Charlotte County, Fla., in this link. Disclosure: I was a guest of the Butler County Visitors Bureau however, they have not reviewed this article and opinions are my own. Some affiliate links are included in this post in order to support this blog, my traveling habit, and my special-needs dog.